The Cycle Stop Valve is a pump control valve that automatically adjust pump output to match variable flow requirements. Downstream of the Cycle Stop Valve, pressure remains constant as long as demand is between the upper and lower limits of the valve. 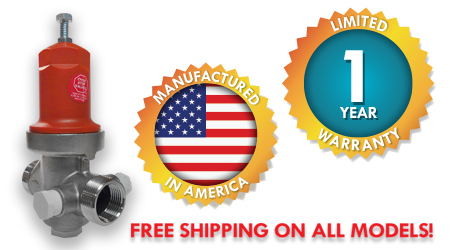 These tank and manifold kits are specifically designed to work with the Goulds Constant Pressure Systems. They are available in different configurations depending on your gallons per minute usage. Not sure which constant pressure system you need? Contact Aqua Science today at 1-800-767-8731 to speak to a system specialist. 304 Stainless Steel Manifold - 1 1/4" X 11"
Stainless Steel Cycle Stop Valve Constant Pressure System with WX-102 Pressure Tank - 1"
Stainless Steel Cycle Stop Valve Constant Pressure System with ZS18 Stainless Steel Pressure Tank - 1 1/4"